DIMITRI LASCARIS: This is Dimitri Lascaris reporting for The Real News Network from Montreal, Canada. Canadian prime minister Justin Trudeau recently concluded a cross-country tour consisting of a series of town halls. As Prime Minister Trudeau headed westward, Canadians’ questions about his government’s climate policies became increasingly hostile. Many, therefore, question whether the Trudeau government’s approval of the Trans Mountain Pipeline expansion can be reconciled with its stated commitment to the Paris Climate Accord. 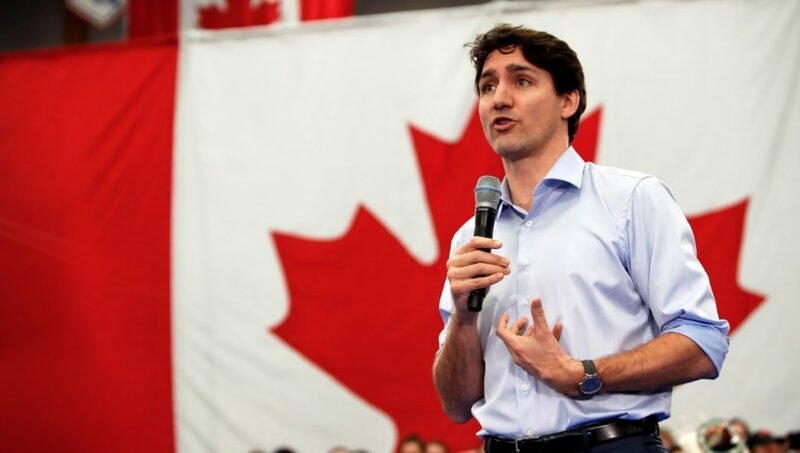 In one of Prime Minister Trudeau’s recent town halls, a town hall held in Winnipeg, Manitoba, the prime minister was directly challenged on the Trans Mountain Pipeline expansion by Clayton Thomas-Muller of 350.org. Let’s watch part of their exchange. JUSTIN TRUDEAU: No, you’re right. Okay. I will come back to you and we will let this fellow…No. I thank you for your question. The question is about the Kinder Morgan Pipeline and the recent, yeah. Bring him the mic. You could have said please when you asked for the mic, though. CLAYTON MULLER: Damn, you’re good. I gotta say that. My question is… Prime Minister Trudeau, and welcome to our great city of Winnipeg. My name is Clayton Thomas-Muller, and I’m a Cree man from Pukatawagan Cree Nation. I want you to know that I support yesterday’s announcement by the BC government to place a new moratorium on tar sand shipments to the West Coast like, for example, the Kinder Morgan Pipeline. I support it because I believe in climate action and clean water and in respecting indigenous rights. You said yourself only communities grant permission for massive pipelines. Now it’s time for you to live up to your word. We already know that First Nations municipalities and people all across BC do not consent to Kinder Morgan. Now, the BC government has made its position clear as well by blocking new tar sand shipments. Will you support the actions of First Nations, the BC government and their citizens? Or will you stand behind big oil and tear a country apart by going against the BC government on the Kinder Morgan Pipeline? 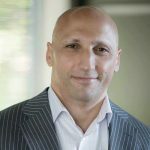 DIMITRI LASCARIS: Today, we are joined by Clayton Thomas-Muller himself to discuss this exchange and the intensifying battle over Kinder Morgan’s Trans Mountain Pipeline. Clayton is a member of the Treaty 6-based Mathias Colomb Cree Nation, also known as Pukatawagan, located in Northern Manitoba, Canada. And based in Winnipeg, Clayton is the Stop It At the Source campaigner with 350.org. He joins us today from Winnipeg. Thanks very much for coming back on The Real News, Clayton. CLAYTON MULLER: It’s awesome to be here. Hello, Dimitri and hello to the viewers. DIMITRI LASCARIS: So, Clayton, we’ve just seen an answer to your question at the Winnipeg town hall. The prime minister clearly implied that the expansion of the Trans Mountain Pipeline is in the national interest of Canadians. How do you respond to that argument? CLAYTON MULLER: You know, I think that Prime Minister Trudeau and the Trudeau administration made a calculated gamble. They bet that they could early on in their administration, after record numbers of voters showing up to elect them, voters mostly represented by millennials, new voters from the First Nations base, inspired by the rhetoric on the campaign trail that he would bring Canada back when it comes to climate action and that he would ratify the UN Declaration on the Rights of Indigenous Peoples and respect communities’ rights to say no. In relation to Kinder Morgan, he made big promises that he would attach a climate test to the NEB process, the National Energy Board process, all of which he went against. When he returned home after declaring at the Paris Climate Summit a couple of years back that Canada was back, months later, he approved two massive tar sands pipeline, the Enbridge Line 3 and, of course, the Kinder Morgan Pipeline, thinking that they would have enough time to win back the hearts and minds of voters in British Columbia. Well, that’s just not the case and BC has demonstrated that not just cities like Vancouver, Nanaimo, or Burnaby, dozens of First Nations and, of course, the BC government, have all come out against the Kinder Morgan Pipeline and the sevenfold tanker increase of tanker traffic coming into the city of Vancouver’s Burrard Inlet. This, of course, has resulted in a trade war dispute between the province of Alberta and the province of BC, but what it really highlights is an emerging constitutional…that the Trudeau administration has to deal with a year before the next federal election. DIMITRI LASCARIS: Before we go, I want to explore all of that with you, but I just want to start with something you mentioned in your commentary. The United Nations’ Declaration on the Rights of Indigenous Peoples, the Trudeau government has trumpeted its purported commitment to that declaration, but can that stated commitment be squared with its support for the Trans Mountain Pipeline expansion? If not, why not? CLAYTON MULLER: Absolutely not. I think that that’s a great example of the doublespeak that the prime minister of Canada has been utilizing in the media both domestically and internationally. You know, they show up internationally as the champion of indigenous rights, but meanwhile back home, our own justice minister, the first indigenous justice minister, Jody Wilson-Raybould, has called the declaration a political distraction and untenable under Canadian law. Just yesterday, Minister Saganash of the official opposition, the NDP Party, had his bill passed, which calls for the immediate implementation of the UN Declaration on the Rights of Indigenous Peoples. So, the Trudeau government finds itself in a place where the doublespeak that it’s been utilizing, whether it’s on indigenous rights, on the protection of water resources or on energy policy, like for example, their support of the Kinder Morgan Pipeline, it really highlights the contradictions. So, they’re in the hot seat right now. I think First Nations and BC, most notably the Tsleil-Waututh Nation, along with other coastal sailors’ communities in the Burrard Inlet and in the Interior, like Tsilhqot’in Nation, who are standing in opposition against this pipeline, these communities believed Justin Trudeau when he said that communities grant permission, not governments, and they’re holding Justin Trudeau to account by calling for a mass demonstration in the city of Vancouver on March 10th, where people can learn about it at protecttheinlet.ca. DIMITRI LASCARIS: Let’s talk about that trade order you mentioned. I understand, you, in fact, indicated that the BC government has imposed a moratorium on new tar sand shipments, and Rachel Notley’s government, an NDP government in Alberta, just like that of John Horgan in British Columbia, an NDP government, it has responded with a threat of legal action. This week, remarkably, Rachel Notley’s government announced what amounted to a boycott of British Columbia wines in apparent retaliation for the BC government’s actions in regard to Trans Mountain. Now, Rachel Notley’s government nonetheless claims to be serious about addressing the climate crisis. Do you think that the reaction of the Rachel Notley government to the moratorium on shipments to BC can be reconciled with its stated commitment to resolve the climate crisis? CLAYTON MULLER: Look, the invisible hand of big oil and its never-ending infinite resources and the revolving door between big oil and the Notley government, and the Trudeau government at the federal level, are undeniable. This spat between BC and the Alberta government over the Kinder Morgan Pipeline, over this announcement for a moratorium on new ta -sands exports from our Pacific coasts, you know, the BC government is well within its rights to consult with its citizens over the impacts of a bitumen spill on the Pacific coast, and I think that this reaction by the Notley government, especially the ban on the sales of BC wines within the jurisdiction of Alberta, are a bit over the top. I think there is some saber rattling that’s happening here by Rachel Notley in response to Horgan, and she tried to spin-doctor the collapse of the electricity sales talks controversial Site C dam to the province of Alberta, saying that the collapse of those talks was the result of this decision for the moratorium on bitumen exports, but those talks collapsed before Horgan’s government made that announcement. So, Notley is grasping at straws, and Justin Trudeau and his administration at the federal level are trying to frame this as an inter-provincial dispute to try and get away from the reality that they are facing a constitutional crisis with their ongoing support and opposition to the government of BC and their citizens of First Nations opposing Kinder Morgan. So, it’s a very complicated situation, but make no mistake, BC has made their position very clear, that they’re not going to get bullied by the NDP Alberta government or the federal government of Canada. DIMITRI LASCARIS: We’ve been talking to Clayton Thomas-Muller of 350.org about the intensifying battle over the Kinder Morgan Trans Mountain Pipeline expansion. Thank you very much for joining us again on The Real News, Clayton. CLAYTON MULLER: Thank you so much for having me. DIMITRI LASCARIS: This is Dimitri Lascaris reporting from Montreal for The Real News Network.